MILAN/DETROIT -- Sergio Marchionne had what he called a "once in a lifetime" moment in 2009 when President Barack Obama selected Fiat S.p.A. to save Chrysler Group. As CEO of both automakers, Marchionne may now be having flashbacks as the Italian automaker now comes to depend on Chrysler. The previously bankrupt U.S. company, which became majority owned by Fiat this year, is now helping to support its parent, as the European debt crisis depresses sales. Chrysler is due to outpace Fiat's operating profit by 87 percent in the second half and the gap will likely continue in 2012, according to a Bloomberg News survey of analysts. "Fiat would be very vulnerable now without Chrysler, with few industrial and financial options on its hands," said Emanuele Vizzini, chief investment officer at Investitori Sgr in Milan. While the revitalization of Chrysler offers Fiat a cushion for Italy's downturn, Marchionne's turnaround of the U.S.-based company has deepened Fiat's troubles in Europe. With the U.S. unit taking the majority of available development and management resources, Fiat has been left with aging models and eroding market share, putting Italy's largest manufacturer at the mercy of historically volatile Chrysler earnings. "Long-term, neither Fiat nor Chrysler would have made it on their own," Marchionne said on Oct. 7 in Montreal. "Fiat was too small and too handicapped by an inadequate business model in Europe to have any hope of a future." Chrysler may post earnings before interest, taxes and one- time items, of 864 million euros ($1.18 billion) in the second half of 2011, compared with 462 million euros from Fiat's traditional operations, including profit from the Ferrari and Maserati brands, according to the average estimates of six analysts. Trading profit for Chrysler, which was consolidated into Fiat results from June, may reach 1.91 billion euros next year, 77 percent more than Fiat's 1.08 billion euros. The turnaround at Chrysler hasn't helped Marchionne win over investors to his plan to create a global auto group to rival Volkswagen AG. The shares have fallen 40 percent in the last three months, the second-worst performer in the Bloomberg European autos index after France's PSA/Peugeot-Citroen. "If Fiat is depending upon Chrysler, that's a bad bet because Chrysler is still a question mark," said Gerald Meyers, a business professor at the University of Michigan in Ann Arbor. "It will be two to three years before we know whether Chrysler is going to even be successful, much less sustainable." Chrysler, under three different owners during the span of four years, recorded net losses totaling $34 billion from 2006 through 2010, according to the automaker's filings with the U.S. Securities and Exchange Commission. Sales of the third-largest U.S. automaker fell 48 percent to 1.1 million vehicles last year from 2.1 million in 2005. Moody's downgraded Fiat to two notches below investment grade last month on concern about the financial stability of the combination with Chrysler. The rating company also cited infrequent model renewals in Europe and increasing competition in Brazil, where Fiat is profitable. Marchionne, who acknowledged in an April interview that he neglected European operations in favor of a U.S. turnaround, postponed the launch of new Fiat models when the 2008 financial crisis hit the car market and is doing the same again. Aside from a rebadged version of the Dodge Journey, the overhauled Panda subcompact, which was unveiled last month, was the first all-new model for the Fiat brand since the retro-styled 500 in 2007. In the U.S., 75 percent of Chrysler's lineup has been updated since the executive took control in June 2009. This product strategy has resulted in Fiat's European market share shrinking to 7.3 percent through August from 8.2 percent a year earlier as deliveries tumbled 13 percent, according to the European Automobile Manufacturers' Association. Chrysler's U.S. sales gained 23 percent through September, beating the industry's 10 percent growth rate, according to researcher Autodata Corp. Fiat has said it aims to claw back market share with new models, including a rebadged Chrysler 300 and Dodge Journey and the new Panda and Lancia Y subcompacts. 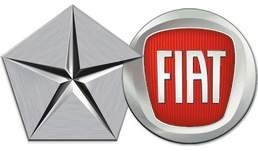 Fiat, which expects to increase its holding in Chrysler by 5 percentage points to 58.5 percent by the end this year, is pushing back the production of new vehicles, including a Jeep, at its Mirafiori plant in Turin by more than six months to the second half of 2013. Fiat will also postpone the market entry of new Alfa Romeo models, including the 4C sports car, delaying the brand's return to the U.S. to 2013. "We have a negative view on Europe," Marchionne told reporters at the Frankfurt auto show last month. "It's not an easy market this year and won't be an easy one even in 2012." Fiat's pessimistic outlook for Europe, where its losses are estimated at 800 million euros a year, has fueled concerns that the company is turning its back on Italy. Those fears were stoked earlier this month after the company withdrew from the country's industrial employers lobby Confindustria to have a free hand in labor talks. The manufacturer's biggest union, Fiom, has called for a one-day strike on Oct. 21 to protest against proposals to scale back production increases in Italy. Fiat is planning to shut the Termini Imerese factory in Sicily at the end of the year, as it aims to end deficits in the region by 2014. Fiat's Italian factories "are part of a much larger network of manufacturing installations," which will all compete for new vehicles, said Marchionne in Montreal. Fiat's Italian plants need to be as competitive as other plants, he said. Backed by Chrysler, Fiat now can look forward to generating cash in the U.S., even as the European business burns up resources, said Massimo Vecchio, a Milan-based analyst with Mediobanca.